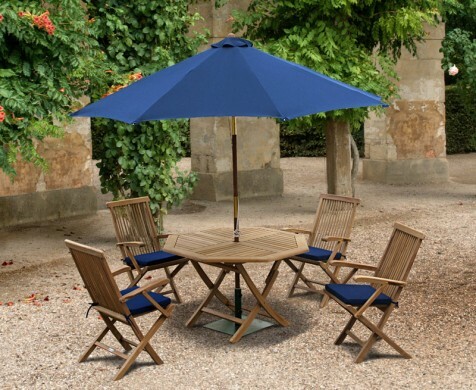 A great addition to any patio or garden setting, this Soho 5ft round table and 6 folding chairs set takes al fresco dining to greater heights. Offering a wonderful combination of solid construction and traditional material, this great value 5ft round table and 6 chairs set is ideal for any occasion and makes for a wonderful centre piece that is sure to leave a lasting impression on visitors. 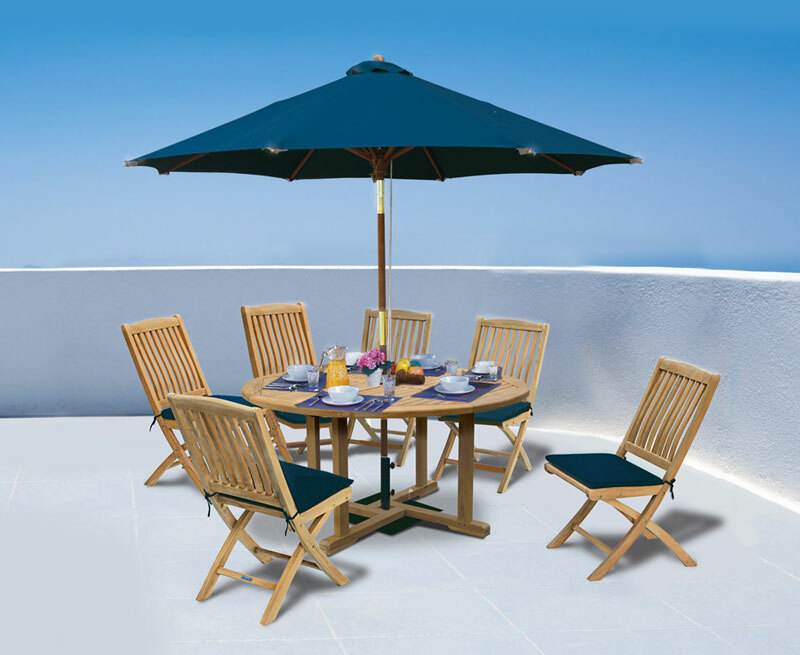 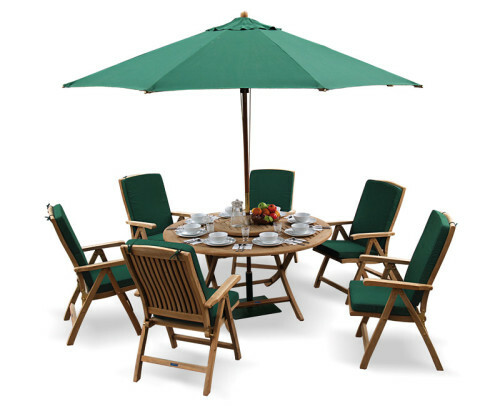 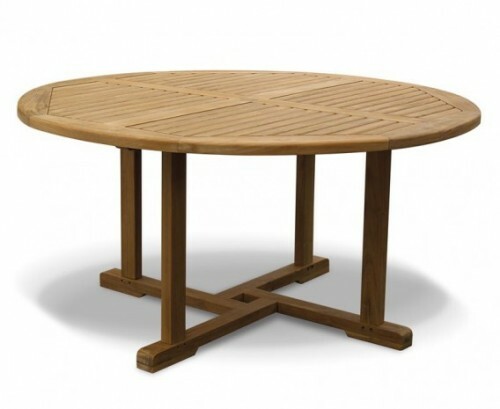 Expertly manufactured in premium A-grade teak for aesthetic appeal and lifelong durability, this stylish 5ft round table and 6 folding chairs set has been built to withstand the most inclement of weather and can be left to remain outside all year round with virtually no maintenance, ensuring trouble free fruitful use for years to come. 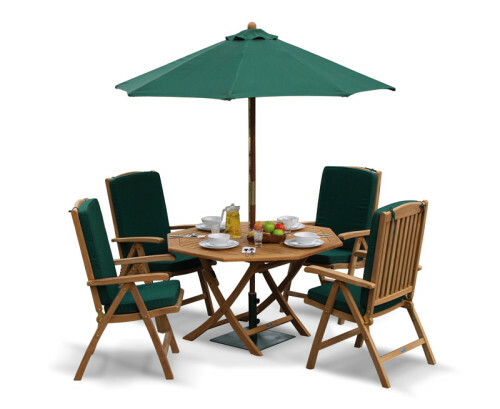 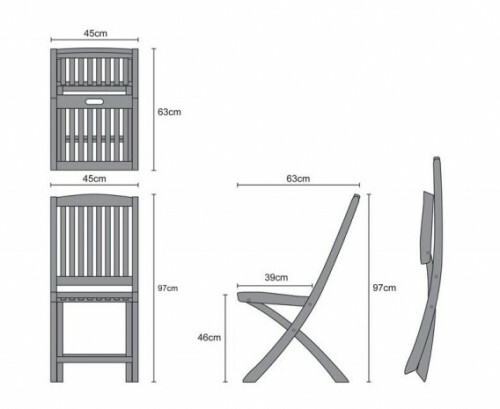 Combining the benefits of style and functionality, this 5ft round table and 6 folding chairs set can be utilised without sacrificing a great deal of space; What’s more the chairs fold flat for space convenience and can be easily stored away – ensuring you make the most of your outdoor space. 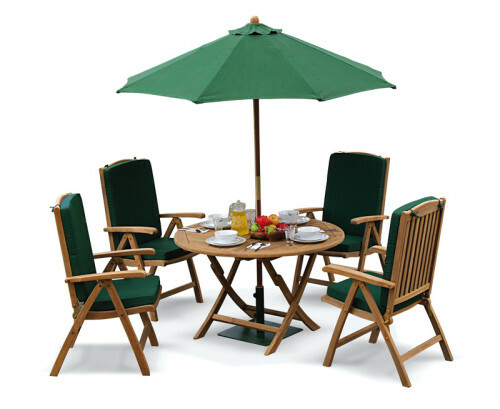 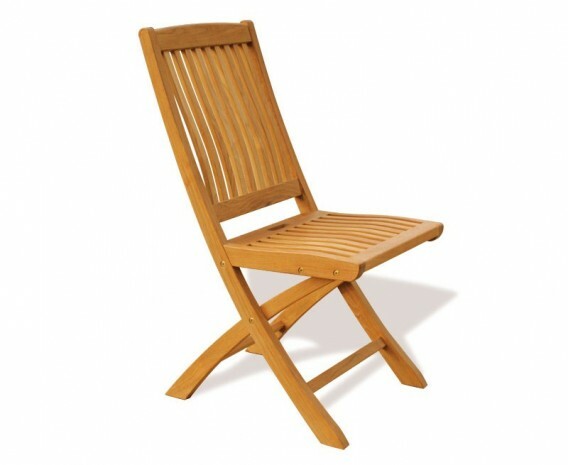 This Soho 5ft round table and 6 folding chairs set will be delivered pre-assembled for your immediate enjoyment.